Important information such as your bank statements, utility bills, checks etc, find its way to you the old fashioned way i.e. through mailboxes. If your mailbox security is compromised, your personal information could be used by identity thieves to open fraudulent accounts, incoming checks can be chemically washed and rewritten, cards or cash you receive could be stolen. Security begins with locks; hence, the only way to prevent all this from happening to you is to ensure that you’ve got the best mail box locks installed. 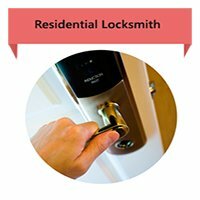 If your current locks need an overhaul, require repairs or an upgrade, you can always reach out toAkron Locksmith Servicefor assistance. For over a decade now, we’ve been entrusted with the safekeeping of confidential information and assets of the Akron, OH community. We’ve managed to accomplish this by providing the most insightful security advice, the best-in-class locks, and superior service. If you’ve got a mailbox that’s unguarded, all you need to do is call us, and we’ll address your security issues, no matter how minor or complicated they are. Your mail box lock could have been damaged due to heavy impact or may have simply lost its efficiency over time. Before you throw it away, allow our experts to take a look. If there’s any hope of fixing them and restoring them to their normal working efficiency, we’ll get them repaired. 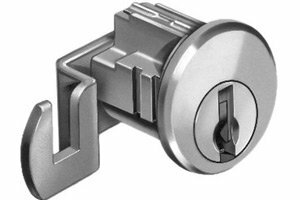 For locks that are far too gone to be saved, we can discard the lock and replace it with a new one. We’ve got a wide collection of locks in our inventory and are sure we can find an exact match to your old lock. Unhappy with the current mail box locks? Set aside your inhibitions, and explore the new. If your mailbox receives a lot of sensitive information, then it makes sense to equip it with a robust, break-proof lock. We can help you get an upgrade! Are you locked out of your mail box? Are you in need of keys urgently? Don’t worry, our service is available 24/7. 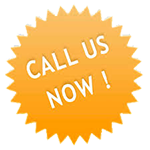 Apart from the standard installation/repair services, we can also respond to your emergency requests on a short notice. Right from carrying out overnight lock installation to replacing lost keys, we can do it all! With a multitude of options available, you might be unsure as to which mail box lock complies with your home’s security requirements and budget constraints. Feel free to talk to us on 330-265-2229 ! We’ll be happy to help!